Do you want to have a bench for your garden or to use as seating for your patio, but want to save some money in the process? 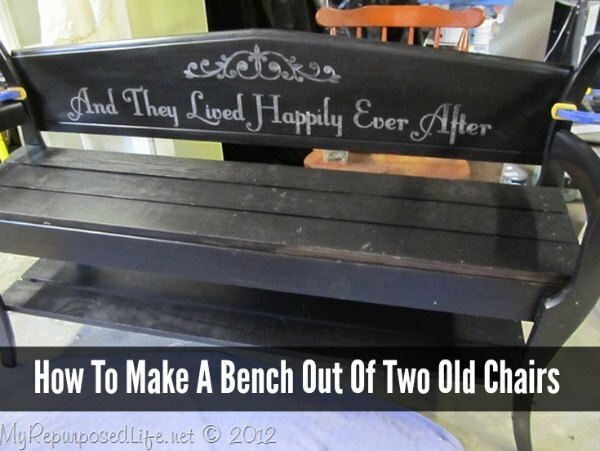 If you have a couple of old wood chairs, then you can make a simple bench. Following a few steps are all that you need to do to make a bench out of two chairs. The design of your bench depends on the work you want to do. You can use the existing frame or cut up your chairs to build the frame for your bench. A lot of customization may be done when you want to make a bench out of two chairs. Extra pieces of wood are needed to make a bench out of two chairs. Make sure that the wood you use is durable enough to support the weight expected for the bench. You can then determine if you want the bench to be painted or stained.